The Y.A. Bookworm Blogger: GIVEAWAY TIME (Gift Card & ARCS) ! GIVEAWAY TIME (Gift Card & ARCS) ! You MUST have a Canadian mailing address to enter this giveaway. Finally I found the adherent on behalf of the author. )) I like people who think in a positive way at any situation. Positive thinking is a part of my job as a writer, and we provide that atmosphere to all our clients at Writers Per Hour. Man! I wish I was Canadian. I love your blog. I think I'll check some of these books out. BTW I nominated you for the Book Fangirling Blog Award. 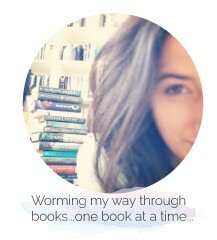 don't think my link works but if it doesn't just copy and paste but you can check out my blog "Bookworms That Blog"
I very happy when everybody visit my pages. If you like them, you can click Like, Comment and Share for your Friends! Thanks So mush! This article was composed by a genuine speculation essayist. Australia Assignment Help I concur a considerable lot of the with the strong focuses made by the essayist. I'll be back.